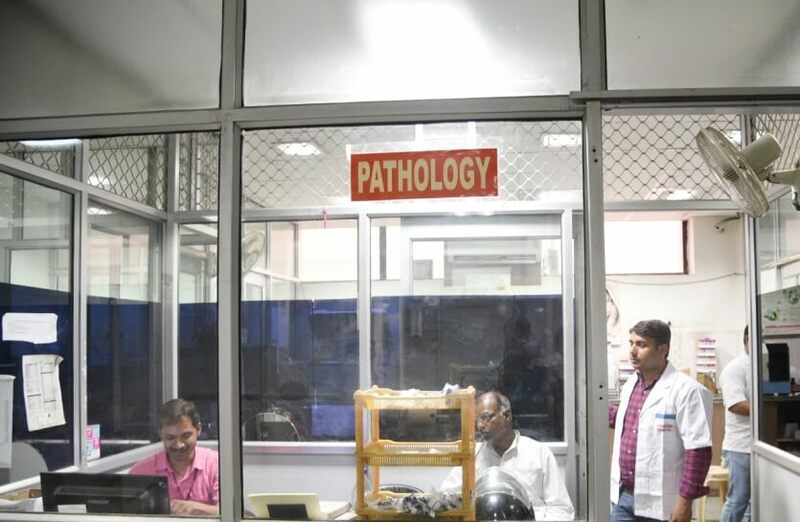 Pathology - is concerned with the diagnosis of disease based on the laboratory analysis of bodily fluids such as blood and urine, as well as tissues, using the tools of chemistry, clinical microbiology, hematology and molecular pathology. When it comes to Test, then we called it to Medical Laboratory. Phoenix Hospital, Allahabad has a comprehensive diagnostic center or medical laboratory which is excellently committed in taking care of Patients’ Medical Test. We educate the Patient also about their diseases and test it with our various medical tools present in our hospital. We do almost all the Medical Test in our Hospital. The entire test is done under the guidance of the Lab Test Incharge and is approved and verified by the registered Pathologist Doctor. The test is prescribed by the governing Doctor of the particular patient and is done within the premises of the Hospital.